Welcome to the third installment of our Well Organized Life series, where we showcase our favorite tools and techniques for... what's that? A well organized life! Today we're going to talk about one of the greatest forms of human technology in existence today: Notebooks. When I was a child, my mom would receive a school supplies list in advance of the new school year that said exactly how many notebooks to buy and what kind. Seven black Mead Composition notebooks with wide rule, and anything else would be confiscated (I went to Catholic school until 8th grade). There is no doubt in my mind that this school supply conditioning is the source of untold paper waste! Buy seven of the same bulky notebook. Write the subject on the cover. And then what? Carry all of them to school everyday? See them take up space in your desk? At the end of the school year, I would usually throw away a given notebook with more than half of the it unused. Preparing for high school and college, we tend to repeat these habits unchecked. Buy a stack of three- and five-subject notebooks. Buy a stack of wirebound single subject notebooks. The multi-subject notebooks can work. I've done it before. But they're so thick. And the single subject notebooks can work too, but they get beat up so easily and their wire binding quickly comes undone and mucks up everything in your bag. Who wants to use something that's so much trouble? That reminds you of wastefulness and forced learning? By the time I started college at 23 (years after graduating high school — long story), I developed my own notebook preferences and techniques for note-taking, breaking the practice that every subject of study deserves its whole own notebook. And then I did two study-abroad semesters in Japan, where some of the best stationery in the world is produced. Do you see that little stack of thin spiral-bound notebooks? That's the jumpoff. Most convenience and office supply stores in the United States stock 8.5" x 11" letter size notebooks no less than a half inch thick, 11" x 17" legal pads, 6" x 9" stenographer notebooks, and various smaller postcard sized memo books. In Japan, and seemingly the entire rest of the world, notebooks generally have fewer sheets making them less bulky, and there is a system. An international standard, to be exact! 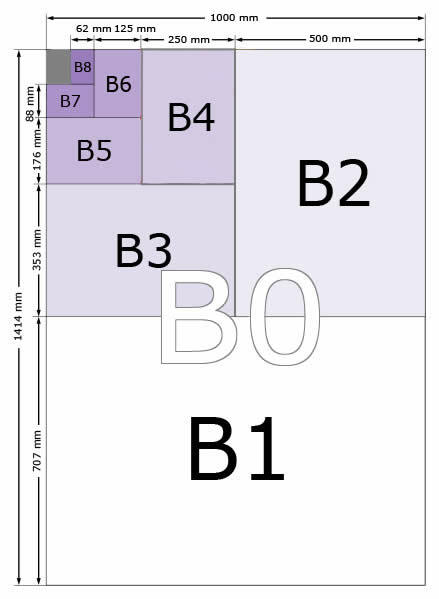 A size is generally larger than B size, with the higher the number denoting smaller and smaller dimensions. Given so much size variety and consistency, one can begin to appreciate the finer details of a notebook, such as line rule, paper quality, and binding technique. During my initial time in Japan, it struck me that notebooks and paper goods are made for a variety of applications across school, work, and creative life, and that they are designed to be something that you enjoy using, not wasting. My personal favorite is A5 size, as you can see below. Not too unweildy, fits into most bags, and still offers plenty of writing space. To me — and I'm a writer, mind you — this is major key! You've got stitch binding, gluing, stapling, and more. I really can't speak to the technicalities except to say that, for me, nothing beats a meticulously stitch-bound notebook. Lemme show you what I mean. Here's a close-up of an A6 Japanese notebook that I'm saving to use for a rainy day. It has multiple sections of folded paper individually stitched to its backing. When I hold it one-handed, it opens fully without effort. This means when I lay it on the desk to glance at, it generally stays open too. And for whatever reason, it just feels good to hold. There's a movement and a heft allowed to the paper inside. Now here is a 3.75" x 5.5" US pocket notebook with PUR adhesive binding. Although PUR adhesive is very strong and durable, this notebook doesn't want to open. I need to bend it, crack it, or use two hands. So although it is a very nice notebook also in my rainy-day stack, I find myself skipping over it when I need something new to write in. It always feels a bit too stiff and unfriendly. ...and the legendary Delfonics Rollbahn note. These binding techniques make for notebooks that really take a beating and still hold together like the day you marked the first page. Paper quality seems to go hand in hand with binding technique. 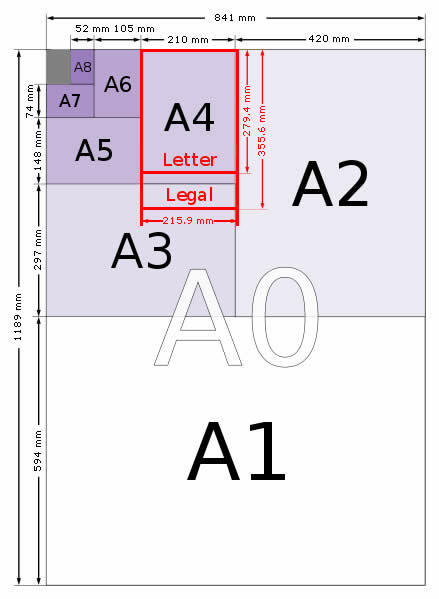 There's line rule, grid rule, dot grid, and blank. That's linear structure, multidimensional plotting, free form doodling, and more. Do you write small? Do your letters need space to breathe? How do you respond to a nice crisp sheet of white? A smooth sheet of cream? A page of speckled off-white recycled? And what's your preferred writing utensil? All this can be accommodated depending on your choice of notebook, which is why we provide extensive information on the make of our paper goods here. The finer details are everything. So when it comes to choosing a notebook a great question to ask yourself is, What will I use it for? As you can see, it's very easy for me to stack notebooks, especially working here at Omoi, a lifestyle store that specializes in stationery and desktop supplies. But I justify the hoarding because I use them for everything. From planning my daily tasks and long-term goals, to journaling and jotting down random ideas, to writing fiction. The spatial plane of a sheet of paper gives me a place to think and organize my thoughts in a way that just can't be done on a screen. Moving your thoughts out of your body and onto paper means you've recorded that information for the next time you need it (if at all), and allows you to move on to other ideas, dreams, and desires. When I see a notebook or writing pad that appeals to these sensibilities, I usually pick it up. It's about what works and makes me happy, and that lets me live a well organized life. Find your next notebook here in the shop.